The Hare & Hounds welcome back Jarno and his boys from Holland for the second time. 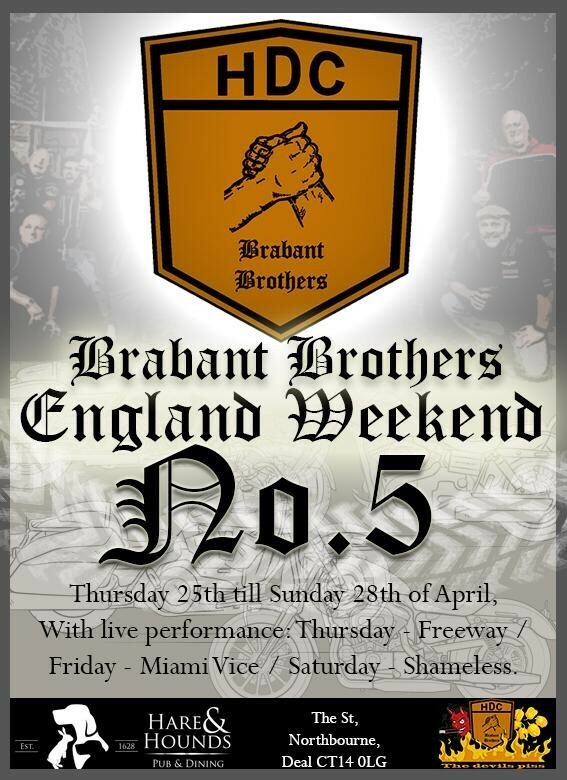 The Brabant Brothers HDC along with various other Harley Davidson brothers from Kent are visiting us for their annual & 5TH UK Tour. Last year was a huge success here and this year will be bigger and better, we have live music every night during their stay with us which see’s two bands making their first appearances here @ The H&H also the eagerly return of Shameless.